If you want to make a high speed dual suspension electric bicycle then the GIANT ANTHEM is one of the best models to choose simply because there is room within the frame to mount a high capacity battery. 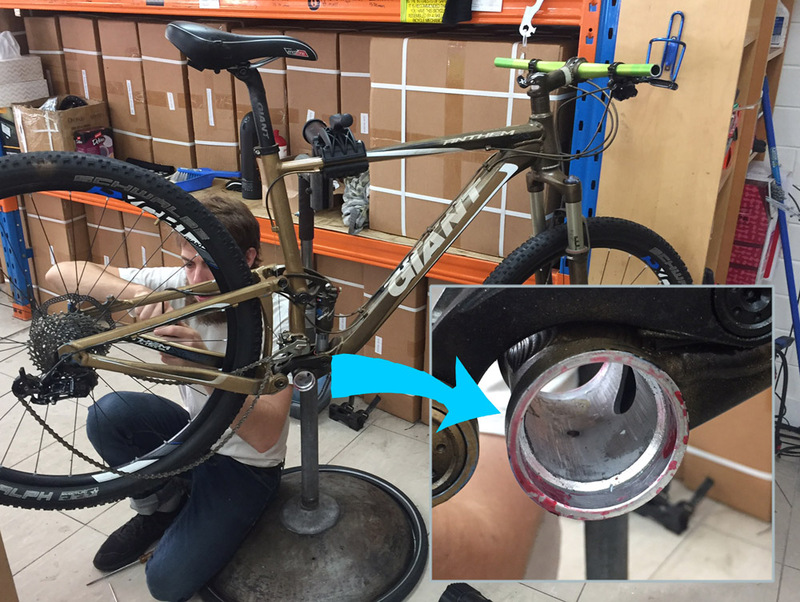 This bike uses the BAFANG 1000W mid-drive conversion kit and you need a very solid battery for it to work as the motor has a 30 amp current draw and with this high power you need a high capacity battery to get a decent range. 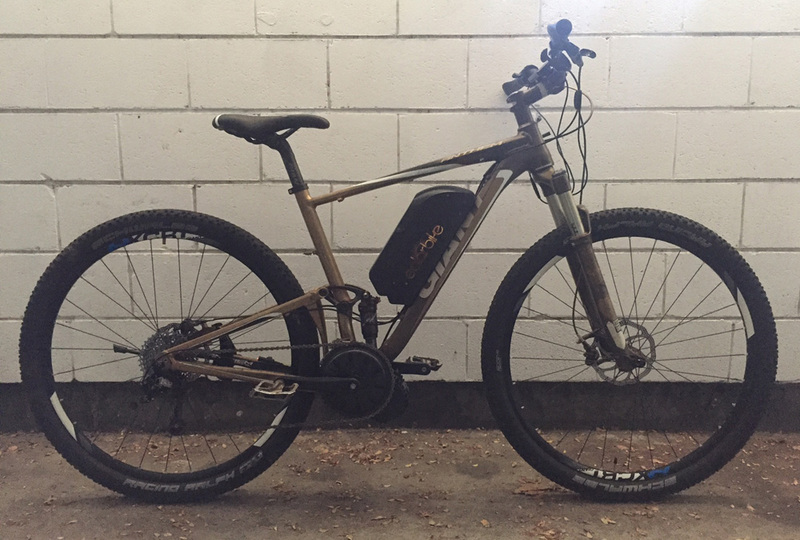 This battery is a PANASONIC 48V 17.5AH lithium ion battery and will give a range of approximately 30km with pedalling hard and lots and lots of motor power. 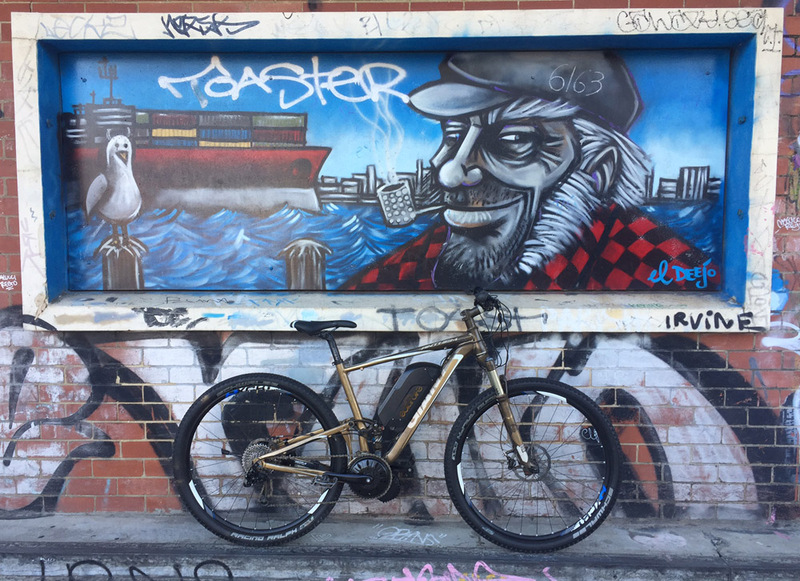 There are very few other dual suspension bikes that have a large enough frame space to accommodate a good battery – nearly none we’ve found – so if you’re looking for something like this then for around $1000 you should be able to find a 2nd hand GIANT ANTHEM that will work well. 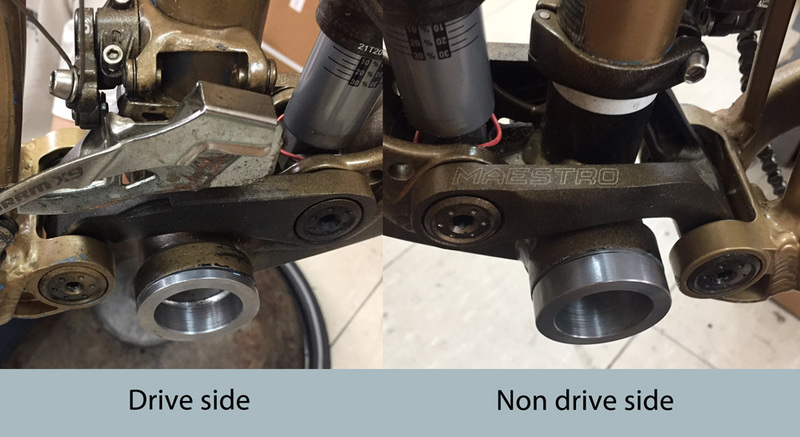 This means that the typical mid-drive conversion kit will be too sloppy in the shell and surely cause problems. 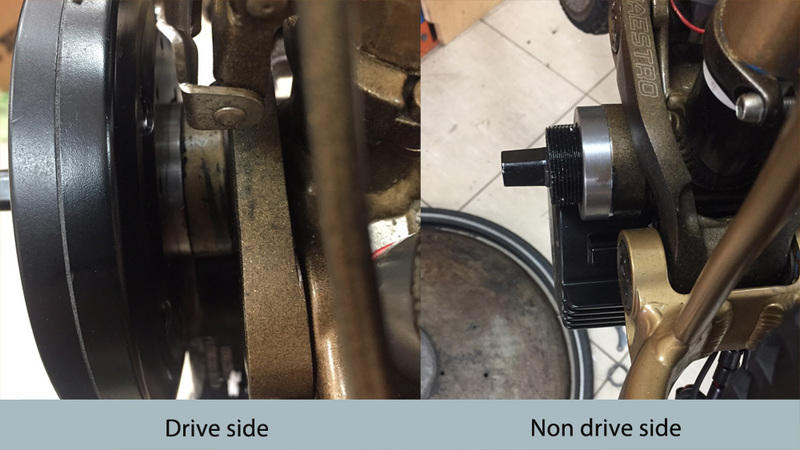 We overcame this by doing a few measurements and getting some cups made that would fit in the press fit bearing slot and be the correct inner diameter to support the mid-drive motor. 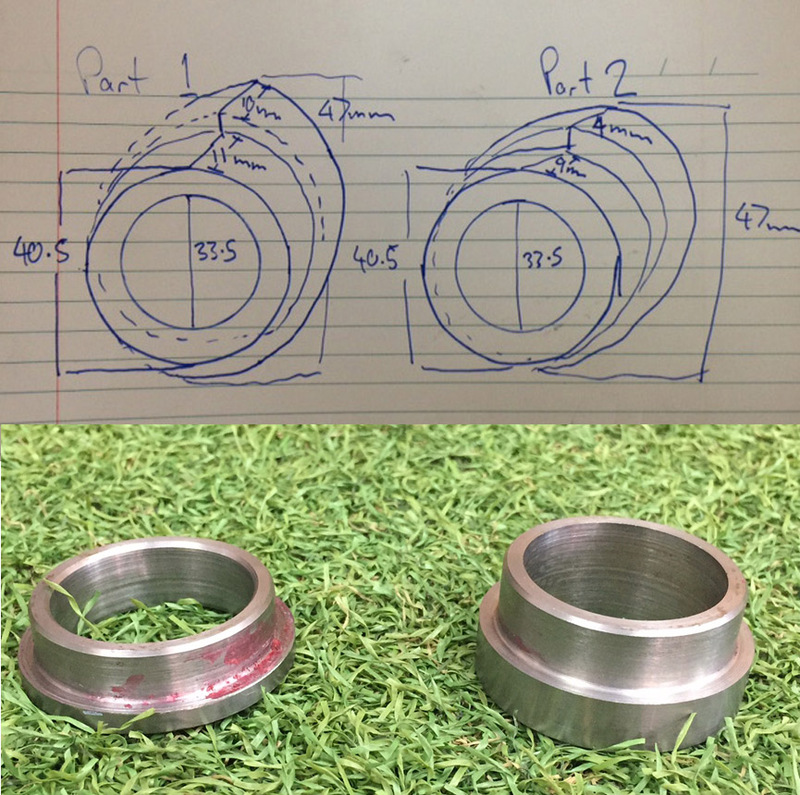 Here are our poor drawings but thankfully the machinist was high quality and produced some good parts for us. The bike rides beautifully. It’s near impossible to get a high power dual suspension bike for under a few thousand dollars but this is a great solution. The bike can hit up to 60km/h with good pedaling and a range of around 30km should be expected with a 48V 17.5Ah battery. Rough prices are bike: $1000, motor kit: $1000 and battery: $1000. « Electric Lekker Amsterdam, fixing the fixie trend.